ACCA – F2 Management Accounting, although placed in the knowledge module, comes with a big syllabus and many topics to cover in one exam sitting. Despite the fact that knowledge module usually covers the subject at hand at an introductory level, but ACCA F2 is not just the introductory subject instead it will be correct if we say that it provides a huge push to understand later subjects like ACCA F5. Students are advised to prepare this subject with great depth and practice the content to a good extent before sitting in exam. Students should understand the requirements of management and must get familiar about the ways to extract relevant information and the communication channels. Understand the concept of cost and expense from the grass root level and then comparing the cost accounting with financial accounting to properly understand the standing and importance of cost and management accounting in the present day business environment. How planning and budgeting gets involved in management roles and how it is dealt with in cost accounting and the various ways by which managers can trace and control deviations from expected results. Extending the knowledge of costing technique and applying them for decision making purposes and how management makes decision using quantitative decision making techniques. Understanding the concept of relevant cost and how it can enable the mangers to reach profit ensuring decisions. ACCA – F2 is examined through Computer Based Examination (CBE) or Paper Based Exam. Each paper contains 50 two-marks questions. Format of questions will of varying nature i.e. they can be multiple type, multiple response, number entry etc. Questions will be covering both computational and discursive aspects of the subject and to pass students are required to secure 50% marks. 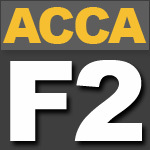 Access FREE ACCA – F2 video lectures exclusively available on this website. 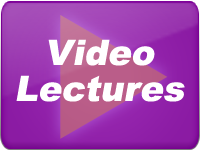 These video lectures give you all the tips, tricks and guidance to top your F2 syllabus and pass the exam with great confidence. Access FREE ACCA – F2 Revision Notes exclusively designed to memorize and grab key areas of ACCA – F2 syllabus. These ACCA F2 notes can work with any official study text book. Access FREE ACCA – F2 Practice questions. As past papers for ACCA – F2 are not available these practice questions can help in great to deal to practice different concepts examinable in ACCA – F2 course. i – ask! 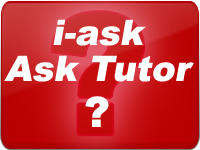 portal lets you ask your question directly from our teachers. Whether it be a subject related question or a topic specific or simply need an advice on how to manage your studies.